In the past few years, there has been a rapid shift to a cashless society. Where there are obvious crime fighting benefits - such as tracking drug runners and terrorists, sniffing out money laundering, and discovering tax evasion – there are also potential negative impacts to the common man. In a pinch, the banks, and the government, could make the common man immobile. You could suddenly find yourself out of operating funds! There is also a darker side in the shift to a cashless society. Governments and central banks have a different rationale behind the elimination of cash transactions, and as a result, the so-called “war on cash” is on. Governments have been increasingly pushing for a cashless society. Ostensibly, by having a paper trail for all transactions, such a move would decrease crime, money laundering, and tax evasion. Forced banishment of cash is a completely different thing, and we should be increasingly wary and suspicious of the real rationale behind such a scheme. Yesterday, banking giant UBS proposed that eliminating Australia’s $100 and $50 bills would be “good for the economy and good for the banks.” In September 2015, Australian bank Westpac published its “Cash Free Report”, suggesting that the country would become cashless by 2022. In July 2016, Australian payments firm Tyro published an enormously self-serving blog post touting the benefits of a cashless society and saying, “it’s only a matter of time.” In February of this year, the Sydney Morning Herald released a series of articles, some of which were written by officials from Australia’s Department of the Treasury, suggesting that eliminating cash will “save billions”, and that “moving to a cashless society is the next step for the Australian dollar”. And it’s happening across the planet, from Australia to India to Europe to North America. This means that your politicians would have more control over your savings and fewer obstacles to impose capital controls or engage in Civil Asset Forfeiture. The Zetas have long warned that mankind has moved away from viewing worth as an ability to repay. Anyone can get a charge card and run up debt, and it is a false assurance. At base, it has become a paper promise. The Zetas have predicted that ultimately, as a result of the Pole Shift, mankind will revert to the barter system. 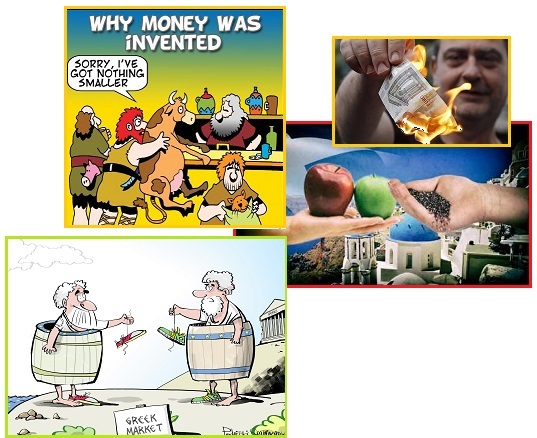 ZetaTalk Description 9/27/2004: The banking system or any paper money system is built on confidence, confidence that a note will be paid out in something solid, something other than a paper promise, which is what all money systems and bank notes are. Centuries past, when the world was operating primarily on the barter system, such promises were few and were backed by gold or silver, or land, or a herd of horses or cows, something solid. Villages and towns, farmers and those in the trades, all operated primarily by barter, a cabinet built by a carpenter and payment in a quarter of a slaughtered hog, a bushel of apples getting a tooth pulled by a dentist. In the past, a debtor could put his house and property up as backing for a loan, his herd, perhaps even his pending harvest of wheat, but could not get credit unless he had something solid as collateral. But today it is the norm for every person, without substance to his name, to have access to credit cards that allow him to go into debt beyond his ability to repay. The debtor is given credit on the assumption that he will repay. The funds he is loaned are assumed to have worth. And all pass paper promises around as though these were based on things that could be brought forth upon demand. But something else is afoot, in the rush to move the world to a cashless society. It appears to be a rush to make the common man helpless! Case in point is the very recent conversion of the 500 and 1000 rupee notes, with the old notes becoming worthless within days. Why the rush? The Zetas explain. India is in the middle of an extraordinary economic experiment. On 8 November, Prime Minister Narendra Modi gave only four hours’ notice that virtually all the cash in the world’s seventh-largest economy would be effectively worthless. Do not believe reports that this is primarily about bribery or terror financing, the real target is tax evasion and the policy is very daring indeed. 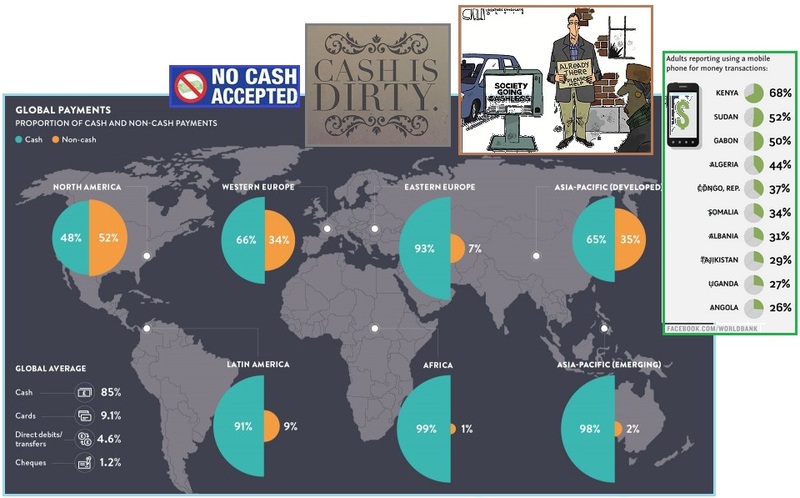 India is overwhelmingly a cash economy, with 90% of all transactions taking place that way. And that is the target of Mr Modi’s dramatic move. Because so much business is done in cash, very few people pay tax on the money they earn. According to figures published by the government earlier this year, in 2013 only 1% of the population paid any income tax at all. As a result huge numbers of Indians have stashes of tax-free cash hidden away – known here as “black money”. Even the very poorest Indians have some cash savings – maybe just a few thousand rupees stored away for a daughter’s wedding, the kids’ school fees or – heaven forbid – an illness in the family. Prime Minister Narendra Modi abruptly banned the old 500 and 1,000 rupee notes in an unscheduled speech. The ban is aimed at fighting corruption and tax evasion, and covers about 80% of the country's paper currency, or more than 23 billion notes. 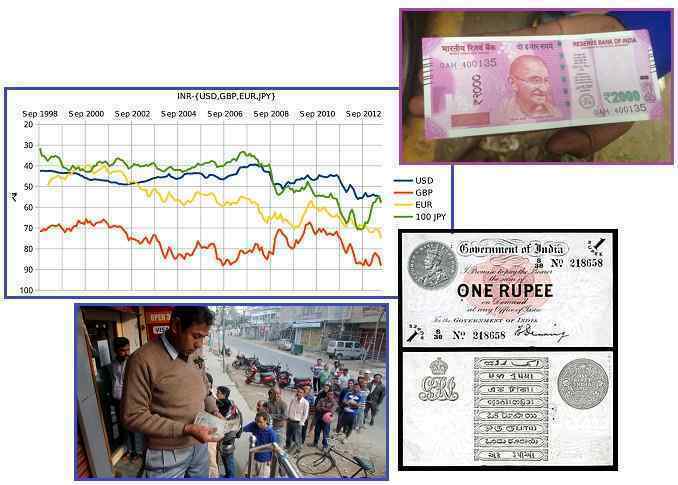 Indians have until Dec. 30 to deposit or exchange their now useless high value notes at banks or post offices. The government has set a daily limit of 4,000 rupees (about $60) on exchanging the old notes. Five days ago India suddenly banned more than 80% of its rupee notes, launching a currency exchange program that has been dogged by logistics snafus, poor banking infrastructure and intense demand for the new money. Prime Minister Narendra Modi said last week the ban on old 500 and 1,000 rupee notes would strike a blow against corruption and tax evasion. The shock move has been hailed by supporters as a "masterstroke." Citizens rushed to swap the banned notes - India's largest - for new bills issued by the Reserve Bank of India. But demand has overwhelmed the country's banks, which stayed open over the weekend in an attempt to process more transactions. ZetaTalk Insight 11/19/2016: India purports that their suddenly announced and even more suddenly implemented Rupee exchange is a move to counter corruption and terrorism. It is not. How would this move counter corruption? Suddenly hordes of paper money that had been received as a result of bribes would be worthless unless exchanged, en mass, in front of God and country? Are they to claim that the holders had come by the money illegally, and arrest them? Holders of large cash hordes will merely hire the poor to front for them during an exchange. India is a country that runs on cash, cash payment for services, and thus very little income tax can be collected. Moving to a new paper currency will not change nor stop this. Nor will it have any effect on terrorism, which relies more on fervent ideologues than on cash at hand. The real reason for this sudden move by the India government is to remove cash from the people. As we have prophesized, India is destined to sink, almost entirely. Most of this will happen suddenly during the hour of the Pole Shift, but the trend will be apparent before that. The elite of India want the poor working classes to be helpless during this sinking. They want them unable to flee, unable to buy airplane tickets or hire boats to go to Africa or Europe or the Americas. They want them to drown, while the elite pick off what they consider the most desirable of their citizenry – educated, technology skilled, and compliant. Why is this approach considered necessary? It is necessary only for the elite, who want to be seen as coming with good baggage, not garbage baggage. Thus, they are arranging to drown what they consider the garbage. The Zetas have long warned that when mankind becomes aware of the pending Pole Shift, the pending passage of Nibiru, there will be panic. Paying down debts such as a mortgage will seem irrelevant, especially if the home is along the coastline or where flooding can be anticipated. Families can be expected to try to withdraw as much cash as possible, buy survival supplies, and head for the hills. How would the elite try to slow this panic and keep the working classes at their jobs? First, they would try to limit the amount of cash they could have. As noted in Issue 384 of this Newsletter in 2014, cash withdrawal limits and limited banking hours are definitely in the plans. ZetaTalk Prediction 8/25/2007: If banks frankly shut their doors, the panic would set in, in earnest. 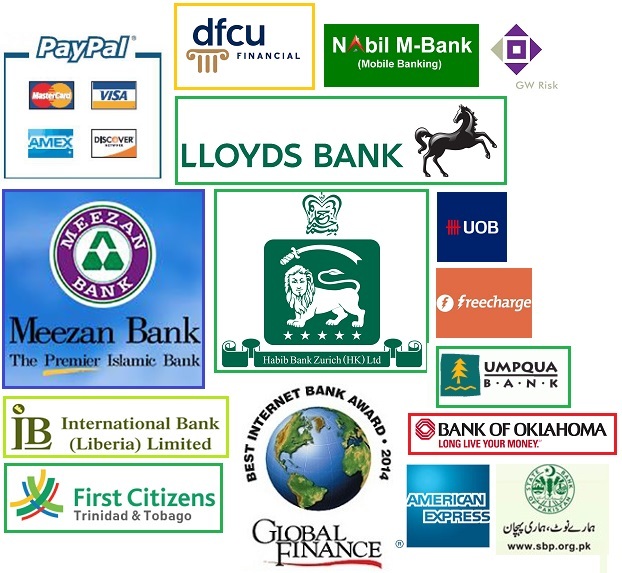 Where heavy withdrawals are noted, the banks are using various "braking" mechanisms such as delayed payments, all the while making claims of computer or system problems. Various other techniques will be tested on the public to see which ones meet with the most cooperation among the public. The point at which restricted banking hours and restricted withdrawals is reached is a long road, with many twists and turns. ZetaTalk Prediction 3/7/2009: A limit on banking hours is another of our predictions, a limit on withdrawals, etc. Those at the helm are concerned about timing, as if these measures are undertaken too soon, it adds to the panic, but if too late, matters can erupt into riot. The Denver Airport has long been rumored to have deep chambers and miles of tunnels, all underground, built into the airport during its initial construction. Bizarre murals depicting the End Times abound. The Zetas have confirmed that the rumors are true. Denver would be the seat of government in the case of disasters in Washington DC, and a backup crew from many of the federal agencies is already present, including the CIA and the Northern Command. 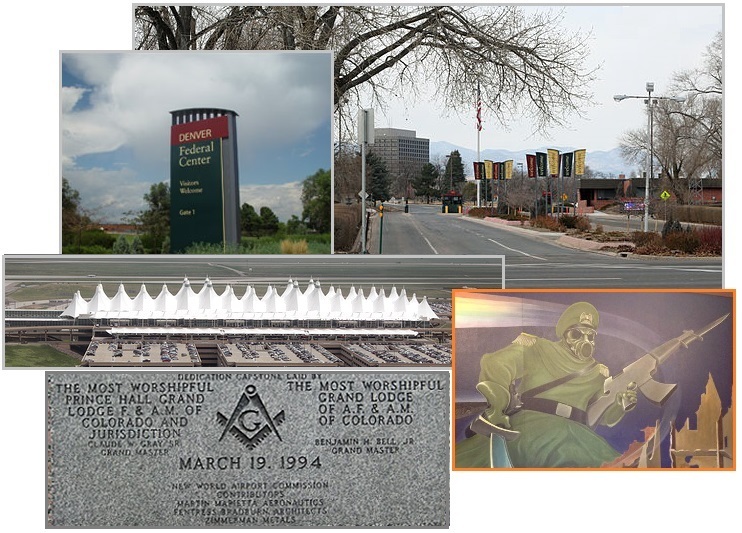 The Denver area has numerous military bases. ZetaTalk Comment 2/21/2009: There are dungeons beneath the airport, and tunnels to outlying areas, but not to the extent rumored. The plan was for many planes to land, unload, and take off, with those transported to Denver shuttled off to the suburbs quickly. The plan was for an emergency evacuation of Washington, D.C., thence to Denver, during the last weeks before the pole shift. Thus the telling murals of catastrophe and martial law. So what is the reason for a secret military flight over Denver on November 16, 2016? This was determined to be a US Navy plane, tagged Iron99. This was a sonar plane that could transmit in a very low frequency spectrum. VLF uses the ground to transmit hundreds of miles through land along the curvature of the Earth and through the ocean to submarines. What was it searching for, in the Denver area? The unannounced flight appeared in the late morning and made several loops above the city at around 32,000ft. Some speculated the plane was an E-6B Mercury, also known as a TACAMO (Take Charge and Move Out), a Boeing aircraft developed for the US Navy as an airborne communications platform. They are used to deliver instructions from the air to US Navy submarines fleets via a transmitter and antenna. The TACAMO E-6B airplanes are equipped with dual trailing wires that serve as transmitter and antenna, transmitting in the very low frequency spectrum. The US Navy has confirmed that a mysterious plane spotted circling over Denver for at least an hour was one of its fleet – but says details of its mission are classified. Since VLF waves can penetrate at least 40 meters (120 ft) into saltwater, they are used for military communication with submarines. 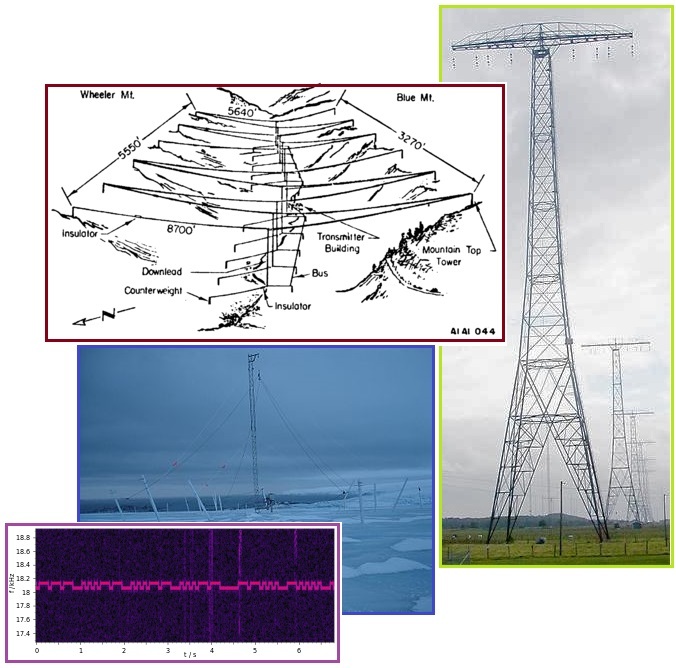 Because of their large wavelengths, VLF radio waves can diffract around large obstacles and so are not blocked by mountain ranges, and can propagate as ground waves following the curvature of the Earth. VLF transmissions are very stable and reliable, and are used for long distance communication. Ben Fulford referred to the Denver base in his November 7, 2016 newsletter, which was issued prior to the results of the November 8 election showing Trump as the winner. Per Fulford, the Khazarian mafia is composed of the Clinton crime family, the Bush crime family, Jewish bankers, and European royalty. Per the Zetas, this group emptied Fort Knox of its Gold. Fulford details a great battle behind the scenes wherein this group is losing their grip on control of money production and the ability to accrue wealth. A special-forces attack on a Khazarian base in Denver that successfully stopped cabal efforts to steal the US election on behalf of their zombie proxy Hillary, CIA sources say. Watching what Fulford predicts is like watching the surface of the water. Every once in a while one sees a shark fin, but most of the battle is unseen. The Zetas have stated that Fulford has great accuracy, though not 100%, and have declined to be used as a tool to confirm or deny what Fulford writes. But the correlation of the Fulford statement about a Denver base, countered election fraud at the hands of the Clinton crime family, and now this VLF plane is intriguing. What was that sonic VLF plane doing circling the Denver area? The Zetas explain. ZetaTalk Insight 11/26/2016: Clearly this VLF plane was seeking something, triangulating a region by going around it repeatedly, honing in on its target as it did. It was using as a guide various metal subterranean posts that were part of the construction when the Denver International Airport was constructed. It indeed intended to participate in VLF communications with nuclear submarines around the world. Now this is being reversed, so that the transmitter is being bombarded as a receiver, thus crippled. It should be no surprised that those pushing to have Hillary in the White House intended to start World War III. Russia was being blamed for everything, by Hillary, and this group resented having ISIS eliminated as a threat as Soros and his pals wanted ISIS to create chaos to foment war. There were sleeper cells within the US Military, which had been carefully watched. They were to be sent like the dogs of war to do their worst, following Hillary’s humiliating loss. While a special ops group attacked them in the tunnels to the west of Denver, this plane was disabling their ability to launch nukes! Starting in 2004, just after Nibiru arrived in the inner Solar System, the face of the Man on the Moon began to tilt. The was obvious, and kept increasing until the face rotated almost a quarter turn. The Zetas explained this as the Moon assuming a tilted orbit, to escape particle flow crowding around the Earth’s middle, the Earth’s Equator. The orbit of the Moon is very well known. For any given latitude it should vary only by 7° 7 minutes, a movement called Lunar Libration, equivalent to the hour hand of a clock moving a mere 1/2 hour. Yet what was being reported was far more than that. The rotation of the Moon's face during a lunar night moved from a reported 45° on March 7, 2004 to 60° by July 31, 2004 to 95° by Sep 26, 2004. This Netherlands February 27, 2005 photo covering a mere 3 hours shows an almost 30° turn. ZetaTalk Explanation 2005: The easy out for the Moon is to avoid the crowded lane, which it does by being too high, and then too low, for the majority of its orbit. It rides high and low as it does as this was the tilt of its orbit before the Planet X drama started, now simply become more extreme to avoid the middle road, the crowded lane. 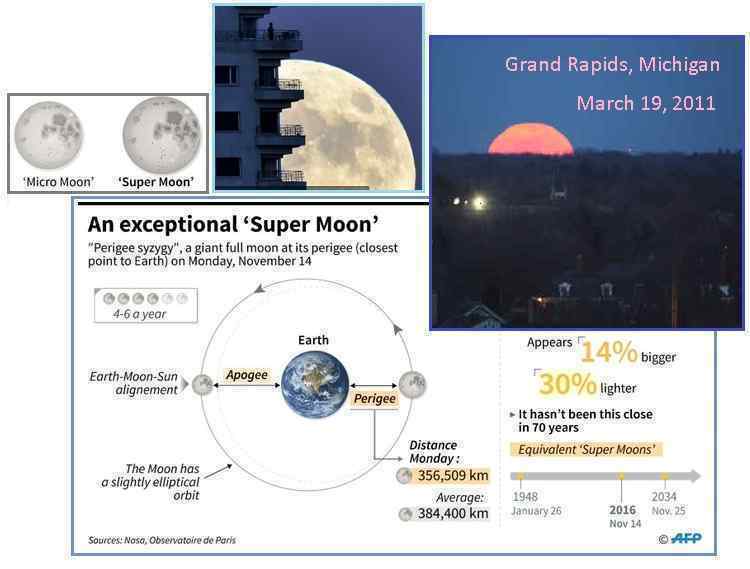 So does the ultra-bright and huge Supermoon on November 14, 2016 have a similar explanation? Wikipedia explains Supermoons as a result of the where the Moon and Earth are in their various orbit, all the variables, but per the Zetas they are not including Nibiru in their explanation. 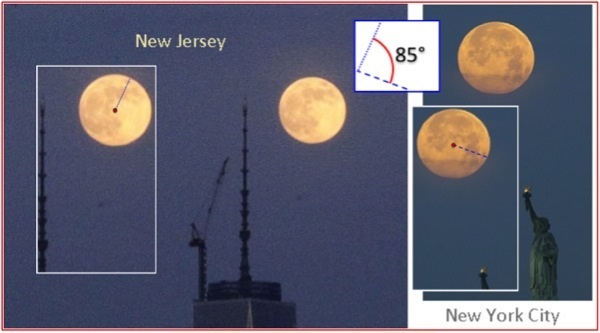 Per the Zetas, where the tilted Moon orbit was the Moon trying to evade particle crowding, the Supermoon increase is reacting to a gravity draw from Nibiru, and this will only get worse. More Supermoons in our future, per the Zetas. The full Moons of summer 2014—July 12th, August 10th, and Sept. 9th--will all be supermoons. The scientific term for the phenomenon is "perigee moon." Full Moons vary in size because of the oval shape of the Moon's orbit. The Moon follows an elliptical path around Earth with one side ("perigee") about 50,000 km closer than the other ("apogee"). Full Moons that occur on the perigee side of the Moon's orbit seem extra big and bright. On May 5 at 11:35 p.m. EDT, the moon will officially turn full. And only 25 minutes later the moon will also arrive at perigee, its closest approach to Earth — a distance of 221,802 miles (356,955 kilometers) away. The full moon of November 14, 2016 is not only the biggest, closest and brightest supermoon of this year. It’s the closest supermoon since January 26, 1948. Skygazers took to high-rise buildings, observatories and beaches around the world Monday to get a glimpse of the closest "supermoon" to Earth in almost seven decades, and snap dramatic pictures. ZetaTalk Explanation 11/19/2016: The Perigee of the Moon is influenced by various factors. The Earth rotates every 24 hours, but the Moon goes round the Earth every 27.21 days. Thus the Moon is seen at different times of the day or night. The Moon’s orbit is tilted in relationship to the Earth orientation, and thus at some times it reflects more sunlight, thus called a Full Moon, and at other times is mostly in the Earth’s shadow. When the Earth itself is pulled toward the Sun, the Sun’s gravity can also draw the Moon closer to the Earth, thus the greater incidence of Supermoons at these times. The Earth can also shield the Moon from the Sun’s gravity. The rotation of the Earth or the regularity of the orbit of the Moon have not changed, as yet, because of the presence of Nibiru. 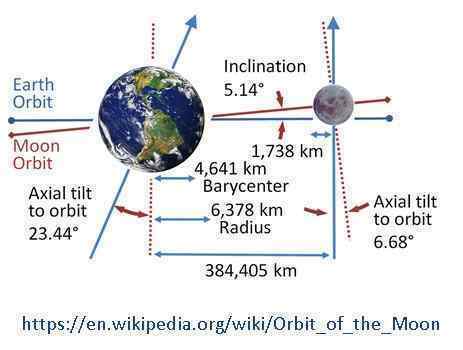 In 2004, after Nibiru arrived in the inner solar system, it was noted that the Moon’s orbit was more tilted, which we explained was an attempt by the Moon to evade the particle flows around the Earth’s middle. Thus the Moon has been thrown up where the curvature of the Earth does not shield it as well from the Sun’s gravity as was formerly the case. Then there is the factor of Nibiru’s gravity tug. Thus, mankind can expect more Supermoons, whether announced ahead of time or not, in their future.